Neil Carlberg has experienced more fires than the entire cast of Cirque de Flambé combined. He is a veteran fire fighter with the City of Bellingham Fire Department. His insights as a working professional have really helped Cirque de Flambé understand the concerns of a fire department when it comes to safety during a show. He has also helped develop safety plans and other information we collect for the fire safety section of our Web site. 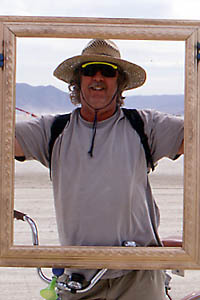 Neil is also a coordinator on the Fire Performance Safety Team for flaming art at Burning Man. His work has helped much of the flaming art at Burning Man burn brighter and safer.